The Professional Coin Grading Service (PCGS) transformed the rare coin industry forever. From as far back as the beginning of the 1900s when coin collecting was pushed towards the spotlight, a coin’s appearance, in addition to its rarity, inherently influenced its worth. This is more or less how they are perceived in modern day. But then there weren’t so few numismatics and more distinctions were apparent. Coins could be described as finer than ones in the same group and still the ones that weren’t even accessible to society could be described as having better detail, luster, and general appearance. This helped to raise the bar making them more profitable. 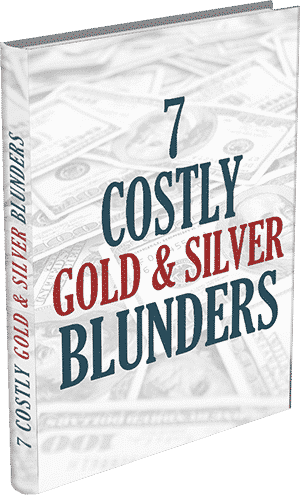 It was Dr. William Sheldon, a numismatic known at the international level who, in 1948, established the Sheldon Scale which accredited each coin with a number from 1 to 70 whereby the higher the number, the more it would be worth. This moved the rare coin industry forward but still showed signs of subjectivity in that the grade given to the coin was just as personal as it had been before. The urgency to remediate an apparent deficiency had officially begun. One thing was for sure: there were obstacles that needed to be eliminated so that the industry could be considered legitimately reliable. It was very clear that an essential ingredient in regulating the worth of rare coins was their physical condition or grade, of the coin. The problem was that the market value of a coin graded Mint State 65 could differ from that of a coin graded Mint State 64. Despite its market value, the actual physical difference could be minute. Another problem was that when it was time to sell, dealers could interchange the numbers as well. This would make the buyer feel less confident in whether or not he was getting the best deal for his coin. The buyer would also feel intimidated by the overall terminology and nonexistence of an acknowledged standard. The Professional Grading System’s model began to unfold from this need. 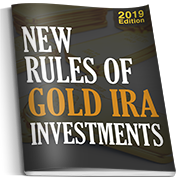 The onset of the third-party appraisal of a coin’s physical appearance endorsed with security along with a national group of distinguished and trustworthy coin dealers could render rare coin collectors a notably dependable protocol of insurance. It would be PCGS that would extend a sense of credence within the coin market. The rare coin industry would forever be transformed. Finally, on February 3, 1986, PCGS undertook the responsibility of providing an invaluable service to the coin-buying community. They are the ones accountable for the betterment of how coins are bought and sold. Not only did they introduce the concept of standardized grading, but also fostered cash-back grading security, problem-free coins, long-term storage security, and sight-unseen trading. Each of these components brought with it a form of endorsement whereby the public could rely upon. Over 18 million coins worth over US $18 billion have been graded by PCGS. The Professional Grading Service laid the groundwork for what we know as the most durable storage for coins in modern day. It is composed of a capsule that is designed to prevent any sort of meddling with the coin regardless of purpose. It cannot be altered in any way within this protective container which is sonically-sealed and which was constructed as a means of supplementing its Guarantee of Grade & Authenticity. As if that weren’t enough, another trustworthy feature it has is an exclusive certification number permanently enclosed inside each capsule. Subsequent to the PCGS coin being launched again into the marketplace, this unique number can provide a reputable measure of classification. Just as valuable is the sturdy, long-lasting vessel in which each coin is protected. An essential element to PCGS’s precept of third-party grading is precisely its Guarantee of Grade and Authenticity. During the time the coin stays in its capsule, the cash-back policy guarantees the precision of the grade assignment to any PCGS coin. Should there be doubt with the grading of a coin and it is submitted anew by way of PCGS’s Downgrade Resubmission service, the pledge accredits the holder of the coin to alternatives intended for such a matter. PCGS takes its business very seriously and will guarantee all coins encased by their professional system. At the present time, PCGS will encapsulate some trouble coins as “Genuine” which will lack grading attached to them. These are the “Genuine not Gradable” coins. A written receipt is a privilege that all PCGS clientele automatically enjoy. When the buyer renders coins to the certified dealer for grading by PCGS, the authorized dealer will supply the customer with an acknowledgment of delivery describing in detail the entrusted coins. Speedy Grading Process. The procedure for grading will be a very quick one once the coin is handed over to PCGS. The wait will be no longer than 10 days subsequent to original delivery. Delivery Authentication. 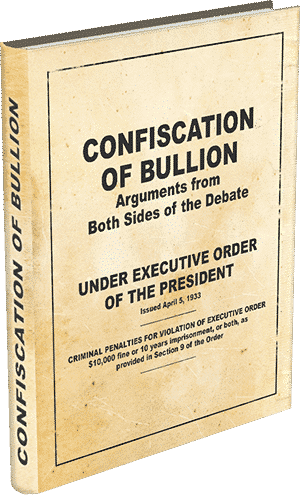 A copy of the PCGS statement provided by the certified dealer for submission to PCGS will be delivered to the customer within 15 days following delivery of the coins to the authorized dealer. Timely Delivery Subsequent to Grading. Customer’s graded and processed coins will be returned within 5 days after the authorized dealer receives them from PCGS with the only exception being a direct and different request from the customer. Caution and Protection with Coins. Condition of the coin will correspond with how the customer submitted them to the authorized dealer. Endorsement of Grade and Authenticity. Once the customer has completed the process with PCGS, the coins will carry with them the advantage of PCGS’s Guarantee of Grade and Authenticity. Trustworthy and Impartial Appraisals. Should the customer receive a lower assessment or bid price of a PCGS coin by an authorized dealer, the number to report the incident is 1 (800) 447-8848. The customer may call regardless of authorized dealer’s justification of the lower price. Merchandise Dependability. Coin holders may differ from time to time but will not affect PCGS’s Guarantee of Grade and Authenticity. Highest Quality Customer Service. Customers will be treated with the utmost sincerity, integrity, fair dealing, and honorable demeanor by all authorized dealers. 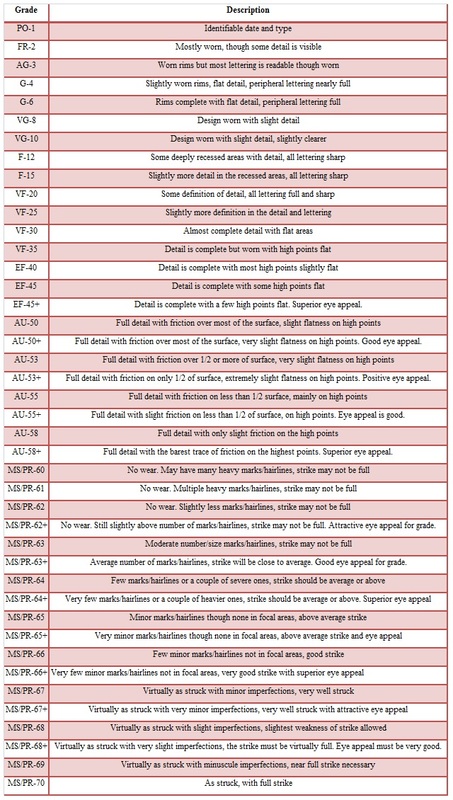 Corresponding to the previous scale, the following suffixes are affixed to some grades in various series with the purpose of numerical grade elaboration. 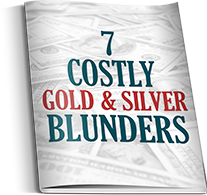 There are instances in which a coin is not easily identifiable and cannot be authenticated or graded and is then classified as either problem coins, inconclusive, or ineligible. “No Grades” in the first group will be located in a PCGS Genuine container unless other arrangements have been dictated. If the coin falls into one of the last two categories, they will be delivered to the customer just as submitted. 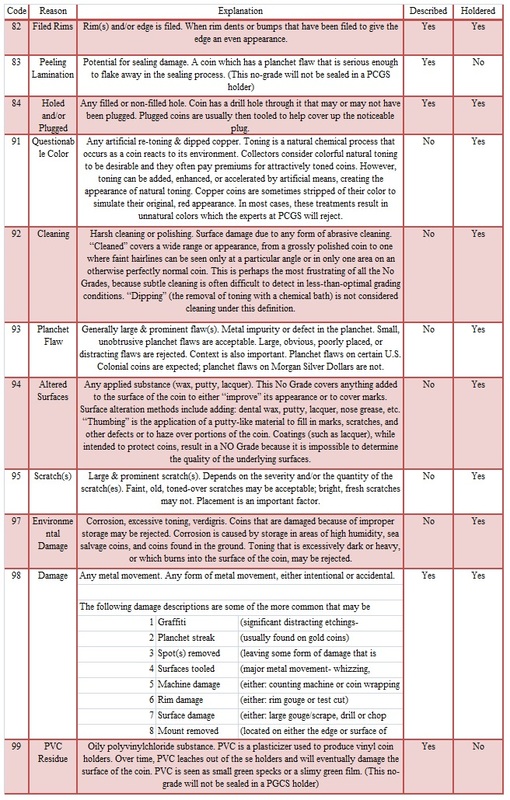 Whether or not the coins are enclosed in a genuine PCGS capsule or not, they will all obtain one of the “No Grade” codes detailed in the following tables. 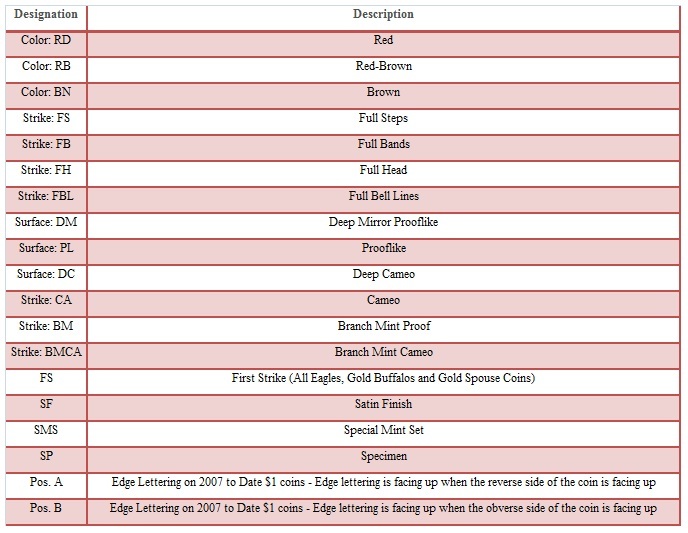 Problem coins are the first category: Only numbers 83 and 89 will not be enclosed in a PCGS Genuine holder. The rest will be encapsulated and ungraded with one of the numerical codes found in the table. This number will be written on the holder insert after the coin number. The insert will include any other pertinent information. When considering professional third-party grading, PCGS is your only answer. The expert graders are chosen from top-notch specialists who are not only skilled in PCGS grading standards, but also in the appropriate usage of all numismatic items. Throughout the grading procedure, each and every coin undergoes meticulous inspection. PCGS employs a grading scale established upon published standards and a wide-ranging grading coin assortment. At the final stage, the coin is then sonically sealed within a transparent capsule that will clearly show if it was altered in any way (tamper-evident). The see-through capsule grants the customer or any viewer an unhindered appreciation of the obverse and reverse. As if that were not enough, the coin goes back to the grading room for authentication by an additional specialist. It is at this point when the coin receives its guaranteed PCGS grade and is ready to re-enter the marketplace. Precise examination of the submission invoice is of the utmost importance and each coin received by PCGS undergoes this inspection. The next step is the exclusive certification number that is given from the PCGS computer inventory system which allows PCGS to systematically follow coins every step of the grading process from beginning to end. Numerical classification combined with nonspecific packing also insures anonymity as each coin arrives for processing. In the grading room is where the magic occurs with the most brilliant and experienced numismatics and where each works separately in a orderly and structured atmosphere which furnishes the best possible circumstances for evaluation of each coin’s uniqueness and physical state. A series of experts enter self-determining judgments in a computer database pending a consensus and until it is attained, the final grade will not be assigned. The experts at PCGS have confidence in the wide-ranging grading sets of U.S. and international coins which enhance PCGS’s grading standard. This is added to their own individual expertise of coins and grading. PCGS NUmisCap holder is the force behind the safety and security offered. The tamper-evident holder contains a special label which indicates the coin’s certification number, grade, date, denomination, unique bar code and pedigree, if applicable. After this arduous and specialized process, each and every coin graded by PCGS reruns to the grading room for review by a ‘verifying’ grader who meticulously inspects each coin through its transparent holder to guarantee the reliability of the sealed capsule and to verify the accuracy of all certification data. It all sums up to a painstaking process of safety, security, and honesty. 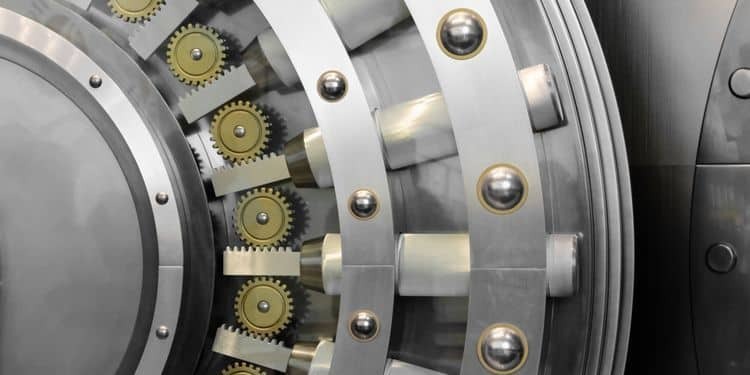 Liability insurance is in place while the coins are on PCGS grounds as well as enjoying the protection offered by the competent security personnel as well as the most advanced security systems available. All this is utilized so that PCGS can assure the protection of your coins all through the grading procedure. The assurance and insurance that PCGS has given to the world of coin transactions has confirmed it as the best reason for entering and feeling absolutely secure about the rare coin marketplace for all time. 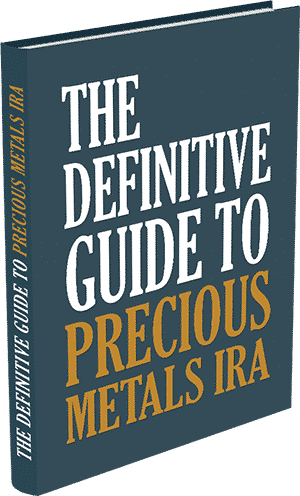 The Certified Gold Exchange is a North American leader on information about PCGS certified gold coins, and for a hard copy of our new special report about PCGS gold and silver coin investments you can call (800) 300-0715 toll-free and speak with a Certified Gold Coin Expert Adviser.